We have been using a lot of Defender Ammunition in many of our reviews and I had enough data in 9mm Luger, .40 S&W, .45 Auto, .223 Remington and 300 Blackout that I figured it would be a good idea to showcase the test ammunition in it’s own review. Using a CZ 75B Omega for the 9mm (review here), a Kahr Arms CT40 for the .40 (review here), a Colt M45 A1 for the .45 (review here), Barnes Precision Machine CQB pistol (review here) and Colt HBar Elite Accurized Rifle for the .223, and a Barnes Precision Machine pistol (review here) and BPM CQB Patrolman’s rifle (review here) for the 300 BLK. I included links to the guns reviewed if anyone needs to verify the firearms we used were quality and accurate. Clinton, Jay, and I went to the range set out to put some rounds downrange specifically to see how the Defender Ammunition preformed with firearms known to be reliable and accurate. So instead of using Defender Ammo to test firearms for reliability, we were testing the ammo with known firearms. Other firearms used for function testing over the past months were S&W M&P Full Size and a Springfield XDM Competition; for .40 S&W a Glock 22 Gen 4 and a Briley 1911 Versatility Plus; for .45 Auto a Ruger SR1911 Commander and a S&W M&P Full Size. 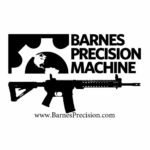 For the .300 AAC an AAC 9″ upper attached to a Barnes Precision lower. The ammunition proved reliable, and published velocities were in line with what we found in all testing platforms. For accuracy and velocity see the above chart. Defender Ammunition Company was founded by brothers Haywood and Huxley Jones, both of which have served in the Armed Forces. Defender Ammunition is manufactured near Fayetteville, North Carolina and can be found in many gun stores through Fayetteville and Raleigh NC as well as many other cities. 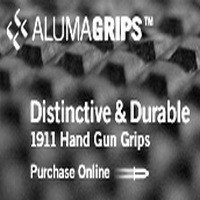 Their products were developed using Huxley and Haywood’s years of experience in both shooting and reloading. 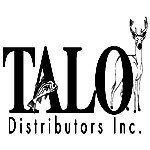 With such widespread availability and use and a solid reputation their ammunition is a safe bet for quality ammo when you are looking to stretch your shooting dollar. Here is just part of the video review working out a Streamlight weapon mounted light using Defender Ammunition. Here I am working on the AAC SR-7 silencer review with the BPM CQB Patrolman’s rifle. Using Defender Ammunition I was testing to see if group size at 100 yards changed between running the rifle suppressed and non suppressed. This is five rounds of Defender Ammo .45 Auto through the Colt M45 A1. I was shooting at a 12″ x 12″ piece of steel at 100 yards. I did miss shot #3, because I was getting a bit cocky. It happens. Here Jay and I were running two different AR pistols in 300 Blackout showing the difference between supersonic rounds suppressed and unsuppressed. Many of these guns were tested with Defender Ammunition. It was a good day to be sure. 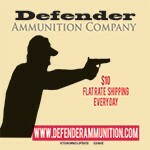 I have confidence in Defender Ammunition being safe (most important) reliable and accurate (still very important). 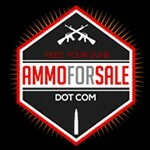 As far as cost, their remanufactured ammunition is less expensive that brand new ammunition so when I need a lot of test ammo and working within my budget, that is a good option for me or anyone else looking to save a bit of money. 9 Responses to Defender Ammunition, shooting you straight. Hunter, I’d like to see some testing on casings…Aluminum vs brass vs steel. Is there really any difference other than the obvious? Long term wear, short term etc…I know Kel-Tec told me not to use steel casing ammo or else it would void my warranty on my PF-9. There seems to be a lot of mixed reviews and possibly some misconceptions. I just want to know the truth. If you’ve already discussed this then I do apologize. Nickle plated brass has better corrosion resistance than brass, and some tell a bit better lubricity. Brass tends to last longer as nickle tends to split quicker during reloading. 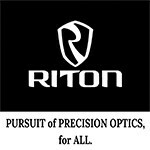 Usually premium self defense ammunition is nickle cases, for corrosion resistance. As for aluminum, no great drawback except you don’t reload aluminum. Aluminum does not have the elasticity of brass. It is also a bit harder but not hard enough to make much a difference. I would steer clear of steel cases, steel cases are hard and are harder on the chamber and extractor than brass. Some steel cases have a lacquer coating that can cause issues with extraction. So, brass is good to go, as is nickle but it may not last as long through reloading. Aluminum is ok for budget shooting or lost brass matches. Steel, only if you have to and only as many as you need. Ammunition for a 357 sig p2000 practice load. 357sig ammo reload and defensive load. What brand hollow points are used in this ammunition? Thanks! To be honest, I do not know. I am sure a call to Defender Ammo can get you the answer. they are good people.